Click here for our portable black & white systems. 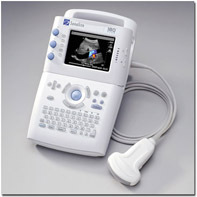 We want you to get exactly the ultrasound you need. 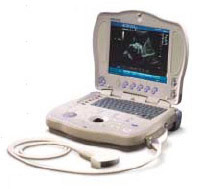 Help us understand a little more of what you are looking for in a portable color Doppler ultrasound by filling in our inquiry form. You should have a reply very quickly - generally within an hour or so. If you would like to talk with us sooner, please feel free to call us at 800-839-0722. It's important to us that we make sure that you get the right ultrasound for your needs - an ultrasound that does what you need it to do, very well, while fitting within the investment you wish to make. Please submit the following form or give us a call so we can assist you in finding the right ultrasound!